We offer wide range of products in torque wrenches & torque tools, we have earned the high reputation from our global customers. 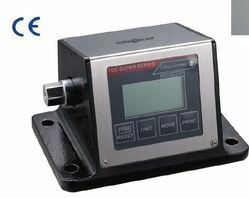 Through continuous innovation and technology integration, as well as introducing the QC system, measuring instruments and calibration certificates, it has promoted our competence and increased our visibility in the industry. Planet gear carrier mechanism makes high transmission efficiency and load capacity. Supplied with 2 reaction bar styles. Conatins: 19 1/2" Dr Metric Sockets. 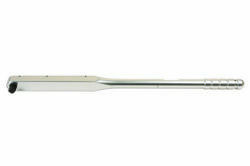 1- 1/2" Dr" Quick Realese Ratchet Handle. 1- 1/2" Dr 5" Extension Bar. 1- 1/2" Dr 10" Extension Bar. 1- 1/2" Dr 10" Sliding T Bar. 1- 1/2" Dr Universal Joint. Classification DIN ISO 6789 & ASME B107.300-2010. chrome - molybdenum alloy steel brings better stability and reliability. The steel with carburizing process for better strength and life cycle. Classified to DIN ISO 6789 & ASME B107.300-2010. Lever mechanism brings length independent and accurate torque. 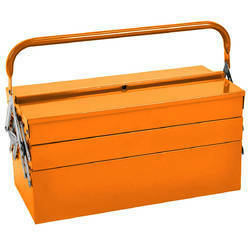 TORKOSCAR tool boxes are perfect for storing your tools and small parts. Stay organized and bring all the tools and supplies you need in one easy trip. 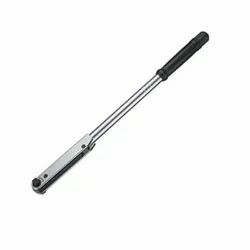 Aluminum torque wrench is a mechanical adjustable torque product, which is suitable for professional and industrial user. Because of strenghten aluminum material and integrated 3-lever chain mechanics design, it brings super lightweight, super loud, super safe and super strong benefits to the user. It's especially recommended to be applied in WIND POWER, AVIATION & AUTOMATION INDUSTRIES. Output Square Drive : Chrome - molybdenum alloy steel brings better strength, toughness, stability and life cycle. Mechanism : Integrated 3-lever chain mechanism brings length independence, greater sensivity, high accuracy and a long-life cycle. 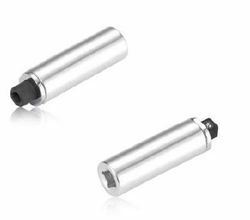 Main body : Made of high intensity aluminum alloy The weight of Aluminum is extremely lighter then steel, good for long-time operation and heavy industrial use. Chrome-plated finish strengthens the material hardness & anti-collision Loud click sound and strong impulse when required torque reached. Ergonomic handgrip enables safe work and less operation fatigue. Energy saving torque-adjusting design quick pull out and easy to adjust with unique crank. Suitable for Heavy. Aerospace, Wind Power and Automation industries. 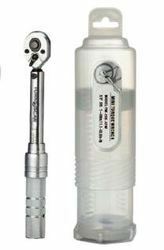 Adjustable, releasing and study tubular torque wrench with integrated ratchet for industry and trades. Serial number: Each piece stamping serial number for traceability. Easily readable dual scale N-m/ Ibf-ft below a window. 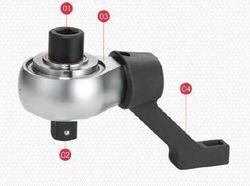 Locking button enables reliable locking of the torque setting. ® Classified to DIN ISO 6789 & ASME B107.300-2010. 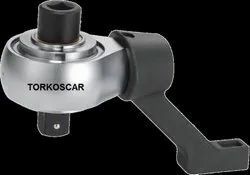 ® Tolerance of torque +4%. ® Fixed ratchet for both clockwise and counterclockwise directions. Classified to DIN ISO6798 & ASME B107.300-2010. 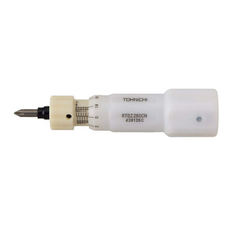 Operationn only with end fittings with standardized depth gauges. Classified to DIN ISO6798 & ASME B107.300-2010.Operationn only with end fittings with standardized depth gauges. Quick release designClassified to DIN ISO6798 & ASME B107.300-2010.Operationn only with end fittings with standardized depth gauges. Planetary gear mechanism makes high transmission efficiency and locd capacity. Supplied with 2 reations bars. use up to1000V AC/1500V DC. 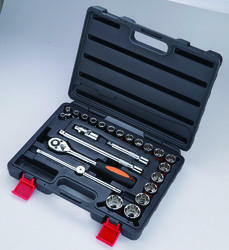 For angle indicate to use with torque wrench or ratchet.